Adjustable hook and loop straps lend a custom fit to the stylish and functional J-V Mesh. SAS Comfort Outsole™, SteadyTrac Midsole, and Arcfit™ heel stabilizer work together to provide you maximum firm but gentle support. Tripad® Technology adds additional support to the three main pressure points of the foot, while SAS CoolSTEP™ foot bed and a leather and mesh upper make for a light design with no heat build up underfoot. Medicare Approved: This style in Gray has met the standards set by Medicare. Please see your doctor for details and qualifications. Designed to fit and follow the shape of your foot. Made on our exclusive SAS Foot-Shape® Last, the J-V provides all-day comfort with firm heel support. Initial fit should be wide enough to stay very comfortable across the ball of the foot yet roomy enough in the front so the toes are not cramped. Leather and Mesh Upper: The upper material is breathable, soft, and supple while being durable enough for the challenges of all types of activity. SAS CoolStep™ Footbed: Our CoolStep™ removable footbed is designed to keep the foot dry and comfortable all day long. 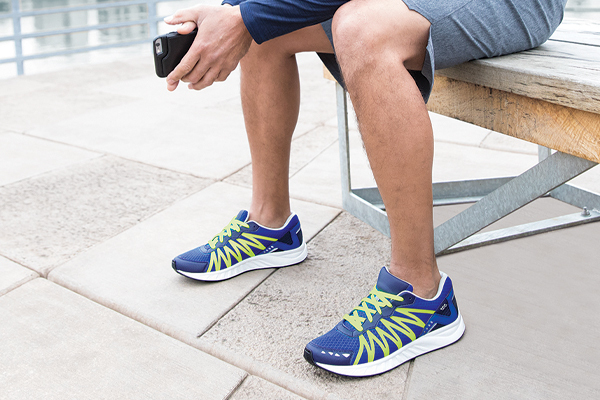 The anti-friction top cover inhibits heat, providing a cooler surface underfoot. The bottom layer wicks away moisture while cushioning each step. SAS CoolStep footbeds are antibacterial and washable for a healthy foot environment. Arcfit™ Heel Stabilizer Our Arcfit™ Heel Stabilizer provides firm but gentle support to encourage proper heel strike on all types of surfaces.